We’re proud to announce December’s Ambassador of the month—XboxInsiderOne! Xbox Ambassador since March 2013, he’s been an amazing part of the Xbox Ambassador community. 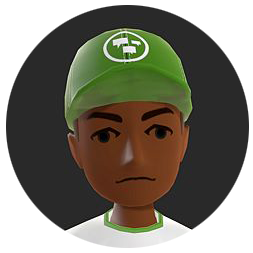 He’s done an amazing job at representing the Xbox Ambassador Program at Microsoft store events, has the passion and desire to make Xbox the best and safest place to play, and wants all gamers to feel welcomed in the Xbox community. What is your favorite game of all time? What kind of memories/feelings does it give you? 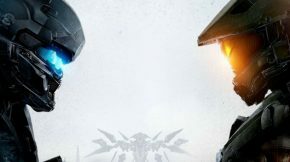 My favorite game of all time would have to be Halo 2. Waking up every morning before going to school and trying to beat the levels on legendary would always give me that push to do better the next play through. When I’m not gaming, I’m a Master Builder with Lego as a hobby. It has always been an interesting activity to build and craft some of the weirdest designs for everyone to enjoy! Before I put the controllers down and pick up the bricks, I always make sure my community is always looked after. My personal goal as a gamer is to create a community that everyone can thrive in without having to prove themselves by creating a family-based environment. Tell us about things you’re passionate about, like killing it in Halo, LEGO building, helping out in the community, etc. With every event I go to or person/gamer I connect with I like to help find their way into something. I’m always passionate to see how the people I meet develop into something more than when I originally introduce myself. It is always a joy to tell success stories about my friends to my family when I get the chance. You’ve mentioned that you participate in your local Microsoft Store events. Tell us your experience and relationship with the store and the people you met. Walking into the Microsoft Store as a representative of Xbox Ambassadors really opened my eyes on how I could introduce people to new things. I had so many people come to me that didn’t know who we were. I felt like a public speaker in a grand hall telling them about the wonderful activities and rewards one could unlock. Once everyone was comfortable with the idea being part of a big family, I sat down with them and made sure they had all the materials they needed to start connecting to others as well! Everyone’s story is unique, tell us how you became a gamer! My story on how I became a gamer might start out like anyone else who has picked up a controller, but of course it will have a twist. I started out with the Nintendo 64 and played every game I could, only to see if I could break it. I would always wiggle the game cartridge to make the characters glitch and always try to force bugs (we have all done it), but it continuously ended in my resetting the systems. Going forward with my chaotic career of terror, I ended up picking up an original Xbox and my first game there was Halo Combat Evolved. From the first day I was hooked on the story of the Spartan who was “the last of his kind.” Even to this day, I will forever be a fan of the original story of a hero who gave everything for everyone. 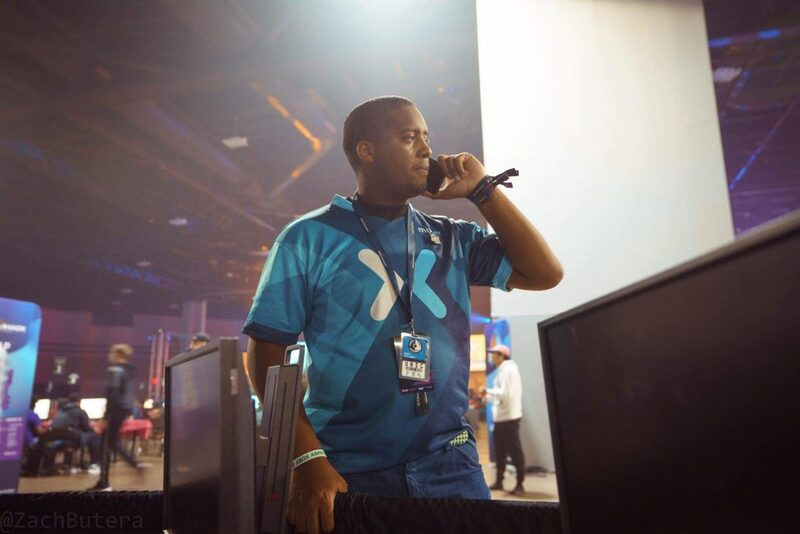 As an Ambassador, what type of impact are you looking to have on the gaming community? 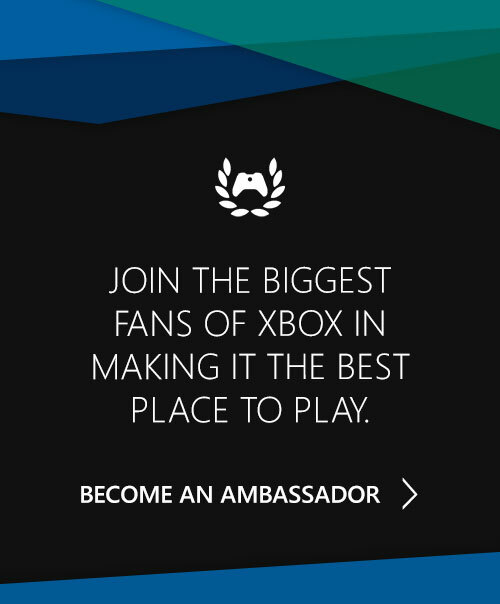 I want to make the best impact on fellow Xbox Ambassadors by showing my community how great it is to be one. Bringing new experiences to everyone creates new opportunities for them to expand on what it means to be a gamer. 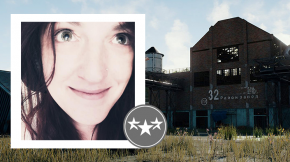 I want to show everyone that playing games not only helps with education, but also is a great way to connect with people around the world and learn about communities we’ve never experienced before. How do you define community and what makes it important to you? A community to me is a place where you can express yourself without having to worry about something going bad. I see the communities I work in as big families that work together to show the rest of the world what they can do. I find them as important aspects of our life that helps shape and develop who we become for future our future roles. What motivates you to make friends and connections within the program? I’ve always been the silent one when it comes to making friends here. 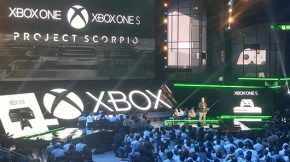 I see the Xbox Ambassadors as an opportunity to build trust with people who work beside you making the platform a better place. With the trust we all build with one another, the stronger our friendships will be. What is your most favorite thing about the program? The people! Meeting everyone who is part of the program is the best! I can’t tell you how excited and nervous I was when I met my fellow Ambassadors at E3 2018. I didn’t know what to expect, but after we saw each other, we all connected like we knew each other for years. I wouldn’t have been able to reach out to them without the ACEs. Connecting all of us together and making sure we all had fun was the coolest thing ever. The Ambassador Program is comprised of different people from all around the world. What do you think brings so any people, from different walks of life together to achieve the same goal? It’s all in the name. Xbox. The passion for the platform brings us all together to help make it stronger. We all have a drive for games and we all see Xbox as a family. I see it as a way to not only build a community, but also develop the platform as a whole. We all have put so much time in this together to make it the best we can. We can only progress from there. Tell us something that’s outside of gaming, give us some insight into you as a person. I love food! Seriously if you were to meet me out in public and randomly stop and say “Hi, let’s get some pizza!” I would become your best friend in the whole world. Food to me is the number one way to anyone’s heart—especially pizza. Always recommend pizza. Just make sure that you don’t get pineapples now. Why don’t you like pineapple on pizza? Explain your reasoning. Pineapple is too sweet to go on pizza. It’s not about the toppings, but it’s about the respect for the classic cheesy gooiness of crunchy pizza crust NEVER to be foiled by the unsatisfactory bitter sweetness of the accursed pineapple. How dare we defile the pizza with the fair fruit that ONLY deserves to be consumed by mixing with other fruits. Never shall it touch the tomatoes of sauce and the crust of dough. Pineapple is not a bad thing, don’t get me wrong, but it shall never have a place on my pizza heart. I will say though. Olives and pepperoni with extra cheese are the BEST combo on a pizza. FIGHT ME! 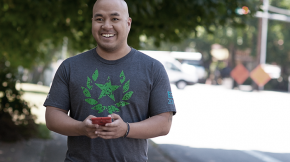 We’re stoked to be able to showcase XboxInsiderOne as December’s Ambassador of the month. 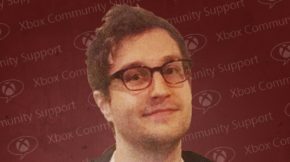 Thank you for being an amazing person, Xbox community member, and gamer who is so passionate about this awesome community of ours. If you know of a great candidate for Ambassador of the month, don’t hold it in! Tell your ACE.